31 Days toward Spiritual Maturity Concludes! With the entry below I have finished posting 31 essays on the theme of Spiritual Maturity. The idea for this series was prompted by my reading of the book Simple Church in which the authors argue for churches to have a simple plan of discipleship. The theme caught my imagination and so I decided to approach the concept from a personal point of view — that there should be a simple-to-understand and easy- to-explain process for becoming a follower of Christ and growing in Him. I took on the challenge of doing something I’ve never done before, and that was to write and deliver six sermons in our Sunday services, each with five parts to it so that, with an introductory essay, I’d have 31 days’ worth of material. I’m excited at how it turned out. They’re now all listed to the right as one of my categories of subjects. If you know someone who could benefit from spending 31 days working on spiritual maturity then please e-mail the link to my blog, or specifically to the 31 Days category to the right. Eventually I hope to have them published as a small book. You might pray about that. Enjoy! For instance, when we’re SERVING WITH CHRIST and become frustrated and judgmental of others, we need to go back to the very first level. We need to be MEETING CHRIST all over again, realizing that we still depend on God’s grace and mercy and that we stand in constant need of His forgiveness. Our lack of grace toward others is a sure sign that we’re missing it in our own lives! We can focus on BECOMING LIKE CHRIST, reading all the right materials on spiritual formation, but if we never lift a finger to help the needy or serve in Christ’s church, we’re not SERVING WITH CHRIST. We’re unbalanced Christians, trying to travel with Jesus without applying the last layer of the road. We can focus on BECOMING LIKE CHRIST, but if we’re not also LEARNING FROM CHRIST we may end up with a false spirituality that doesn’t conform to the truth of Scripture – or have faith that’s a mile wide but just an inch deep. Journeying with Jesus requires that regular attention be given to all five layers of the road we travel on. The road of our spiritual journey needs regular maintenance! Jesus invites us to join Him on the journey of a lifetime! The psalmist declared, “Blessed are those whose strength is in you, who have set their hearts on pilgrimage.” (Psalm 84:5) May we set our hearts on following Jesus completely, ever moving toward maturity in Him! A road is built with layers, and it must be done in the right order. We’ve been suggesting that there are five key layers of the road of discipleship. Unfortunately, it’s possible to skip a layer or two – and that can cause all kinds of problems. For instance, people can try SERVING WITH CHRIST when they’ve never really experienced MEETING CHRIST. They may work diligently in a church and think that being in church, working in the church, and doing nice things for Jesus make you acceptable to Him. They’re operating on salvation by good works, which is against everything the gospel of Jesus stands for! They aren’t actually serving with Christ; they’re working for Christ, because they don’t know Him personally. You have to experience MEETING CHRIST as Savior if you want to know Him personally. People can try SERVING WITH CHRIST without following Him. They act religious in church but act differently behind closed doors at home or in the workplace. They’ve never really made Christ the Lord of their lives. People can try SERVING WITH CHRIST without LEARNING FROM CHRIST. They’re so busy doing things in the church that they never have time to take a class or join a small group. This is a sure formula for burn-out! People who try SERVING WITH CHRIST without giving attention to BECOMING LIKE CHRIST will eventually get their feelings hurt and walk away or get angry and lash out. That happens because they’re trying to do Christ’s work without making an effort to be more like Him! Without the first four levels – MEETING CHRIST, FOLLOWING CHRIST, LEARNING FROM CHRIST, and BECOMING LIKE CHRIST – it’s won’t work to try SERVING WITH CHRIST. We could take any one of the other levels of the road and show what happens when it’s missing. For instance, people who have experienced MEETING CHRIST but haven’t yielded to FOLLOWING CHRIST are what some people call “carnal Christians”: they have the Lord’s forgiveness but they don’t want to live for Him. They’re taking advantage of God’s grace, which Dietrich Bonhoffer called “cheap grace.” Someone can be LEARNING FROM CHRIST but not move on to BECOMING LIKE CHRIST. They have head knowledge of what’s in the Bible but have never let it travel the eighteen inches to their hearts, letting it transform them. The five levels of the road to spiritual maturity in Christ must all be laid. We need them all to continue the journey successfully. We can’t know where we should be going on a journey if we don’t know where we already are! You can’t get from here to there unless you know where “here” is. Where are we on the journey of becoming who God wants us to be? Where are we in our walk with Christ? Let’s look at each of the five levels of the spiritual road we’re meant to be on and ask ourselves whether we’re traveling with a firm footing on each of the levels. Have we experienced MEETING CHRIST? Do we think that our acceptance by Christ is based on our being good enough? Do we feel that we’ve messed things up too badly to be called Christian? If our answer to this kind of question is “yes,” we haven’t grasped the most important fact about a spiritual journey with Christ: we start the Christian walk by accepting His forgiveness. We can’t be on much of a spiritual pilgrimage until we do that. It is He who saves us, not we ourselves. Have we ever actually, consciously, accepted Him as our Savior? Are we committed to FOLLOWING CHRIST? Are we led by what we want to do or by what circumstances seem to dictate? Is our day-to-day living much different from that of someone who doesn’t think that God is important? The real question is whether or not we’ve made a once-and-for-all commitment to living His way instead of our own way. Have we ever accepted Him as the Lord of our lives? Are we regularly LEARNING FROM CHRIST? Do we read our Bibles at least several times a week? Do we regularly participate in some kind of class or small group that has a focus on Christ? How much do we really know about the Bible? Can we quickly find a book in it? Can we list even three of Jesus’ disciples by name? If these are easy questions for us, let’s not be smug; there are always harder questions! There’s always more to learn from God’s Word. Are we really BECOMING LIKE CHRIST? Would the people who are closest to us say that we’re more spiritually mature than we were a year ago? How are we doing when it comes to exhibiting the “fruit of the Spirit” found in the book of Galatians? Are we exhibiting more love, joy, peace, patience, kindness, goodness, faithfulness, gentleness, and self-control than we did a year ago? When it comes to SERVING WITH CHRIST, how are we doing? Are we regularly sacrificing time, effort, and money to do something we wouldn’t be doing if we weren’t following Christ? If we feel we are doing something significant, do we ever do it primarily by our own strength, fussing and complaining? Do we do it out of duty rather than delight? The Christian faith often lacks clear focus and direction. It can be the ultimate example of aiming at nothing – and hitting it! In an effort to lay out a simple-to-understand path of discipleship, we’ve suggested that the road is made of five layers – five levels or stages – that we must move along. They’re all necessary if we want to be maturing in our relationship with Christ. 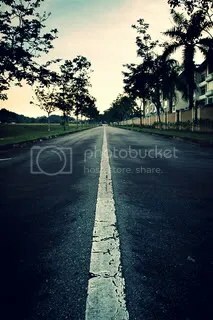 The first thing that happens on this road is MEETING CHRIST. We don’t have to find Him; we just have to let ourselves be found! He meets us where we are, and He’s willing to forgive us as He finds us. We experience acceptance by Him. We could never be good enough to be accepted by such a holy One as He is: “For it is by grace you have been saved, through faith – and this not from yourselves, it is the gift of God – not by works, so that no one can boast.” (Ephesians 2:8-9) Christ comes to us and offers us forgiveness. He’s already done all the work by dying for our sins on the cross; we just need to accept Him as our very own Savior. FOLLOWING CHRIST is the next step on our spiritual journey. Jesus said, “If anyone would come after me, he must deny himself and take up his cross daily and follow me.” (Luke 9:23) We live for ourselves and also live for Him. We’re supposed to give Him leadership of our lives. We’re not supposed to follow our own whims; we’re meant to follow His will! We experience a calling on our lives. There’s no higher purpose than living for Him! The third level we’re to step up to is LEARNING FROM CHRIST. Throughout the gospels Jesus was called “teacher,” and He still is that! “You call me ‘teacher’ and ‘Lord,’ and rightly so, for this is what I am.” (John 13:13) We’re His disciples; the term “disciple” means “student,” and we should always be learning from Him. Jesus endorsed every part of the Bible, from the books of Moses (the first five books of the Bible) to the law and the prophets, and on to what His own followers would someday write that would make up our New Testament. We’re His students, and it’s all meant to be our textbook. SERVING WITH CHRIST is the fifth level of the road of our spiritual journey. He has a purpose for our being here! We have a calling from Jesus to serve Him by serving the people He puts around us. Thankfully, we don’t have to do this by our own strength; He comes beside us and helps us. Jesus used the imagery of a yoke, the wooden apparatus that’s placed over two oxen and to which a plow or wagon is attached. “Take my yoke upon you and learn from me, for I am gentle and humble in heart, and you will find rest for your souls. For my yoke is easy and my burden is light.” (Matthew 11:29-30) He doesn’t invite us to work for Him; He invites us to work with Him! Most of life has a purpose. No matter what kind of job a person holds, the company or organization for which he works usually has a clearly-defined goal. A person working in a factory knows the purpose for being there: to turn out a product at the end of the production line that will be sold to a happy customer. A store wants to move products from the shelves and racks out the door with satisfied customers. The goal of a hospital is to make people well, moving the worst of the patients from critical condition to serious, then to fair, and then to good condition. The goal of a school is the education of its students, moving them through the grades. In almost all of our endeavors there’s a clear path that everyone follows, and everything must be in place along that path. Why isn’t it the same with our Christian faith? The historical account in the Gospel of Luke of Jesus’ walking with two of His disciples to the town of Emmaus illustrates, with powerful imagery, the idea that the Christian faith isn’t a place; it’s a path. It reminds us that we’re meant to be taking a walk with Jesus, going somewhere with Him. After Jesus’ resurrection from the dead, two of His followers were taking the seven-mile hike from Jerusalem to the village of Emmaus. They were despondent over the death of Jesus. They had heard rumors that some people had seen Him alive, but apparently they thought that they were just that: rumors. The historical text says that “Jesus himself came up and walked along with them;” (Luke 24:15), but His followers didn’t recognize Him. He began to ask them questions: “What are you discussing together as you walk along?” (Luke 24:17) They were amazed that the stranger hadn’t heard about what had happened to Jesus, so they explained it all. Then Jesus began talking to them about the Messiah, quoting from the beginning to the end of the Hebrew Scriptures (our Old Testament). 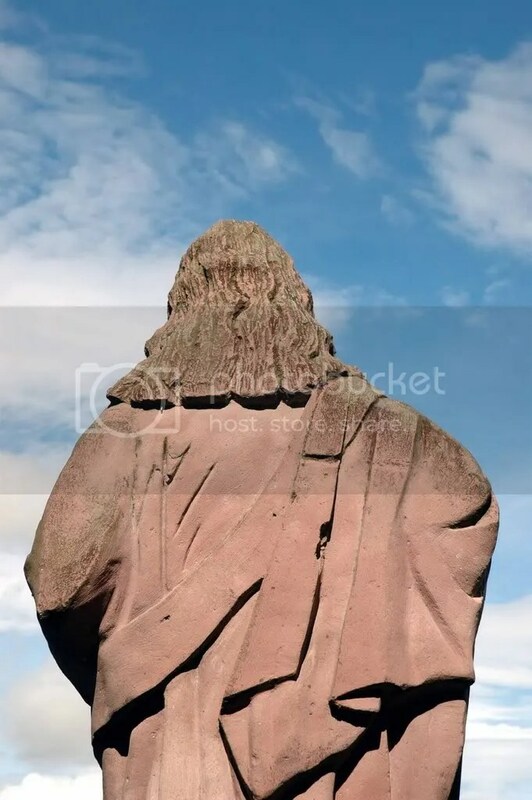 He was invited to stay with them later that day, and when He broke the bread that they were going to eat they immediately recognized who He was. Then Jesus disappeared from them, and they rushed the seven miles back to Jerusalem to tell the others that they had just been with Jesus. Their lives were changed forever! In a sense, we’re all meant to be on an ongoing Emmaus walk, moving ahead in our faith in Christ. Our faith in Christ isn’t supposed to be a place where we find ourselves; it’s meant to be a path we’re traveling on. The wonderful thing about serving Christ is that it’s serving with Christ: we don’t do it alone. As it has often been said, the Lord doesn’t call the qualified; He qualifies the called! Jesus’ sending His twelve disciples to preach and teach on His behalf must have been scary for them, especially since they were to take no provisions. However, Jesus didn’t send them out empty-handed! “When Jesus had called the Twelve together, he gave them power and authority to drive out all demons and to cure diseases, and he sent them out to preach the kingdom of God and to heal the sick.” (Luke 9:1-2) He provided them with the resources they needed to serve Him! Jesus’ telling the disciples to feed the huge crowd was an impossible task from their point of view. However, Jesus only asked them to do two things. They were to organize the crowd: “Have them sit down in groups of about fifty each.” (Luke 9:14) (They were to play maitre d’.) After He gave thanks for the five loaves and two fish, He had them hand out the food: “Then he gave them to the disciples to set before the people.” (Luke 9:16) (They were to be waiters.) The rest is famous history: the feeding of over five thousand people with a boy’s lunch! Jesus did the miracle, with just a little assistance from the disciples. He works the same way today, calling us to do what seems difficult, if not impossible, in serving Him – and then He helps us do it! Last summer while our mission group was in Mexico at Refuge Ranch, we gathered in a circle to pray. Julie and Victor need to add to the basement of the new house they’re building for orphans. The problem was that there was a small mountain of rock and dirt in the way. We prayed that the Lord would somehow move that mountain. I have to admit that as I prayed, part of my prayer was “Lord, I have faith, but help my lack of faith.” It seemed to be an impossible request. We’re supposed to serve Christ. However, let’s remember that He calls us to serve with Him – and that makes all the difference in the world! We’ve looked at some of the costs of serving as Jesus served (self-sacrifice and risk-taking); what about the benefits? Because our Lord is a loving Lord, we can assume that anything He asks of us is ultimately going to be good for us. Let’s start with the very practical. Serving others is the best way to feel that our lives are significant. We can have a positive influence on the people we serve. We end up feeling needed, and sometimes (though not always) we’re appreciated. Billy Graham said that the smallest package is a person all wrapped up in himself. We can’t expect people to reach out and care about us if we haven’t reached out and cared about them! We can’t expect people to miss us when we’re temporarily out of their lives if we weren’t investing in their lives when we were with them. We can choose to make ourselves important to others. An adage says that to have a friend, you must be a friend, and one of the best ways that we show friendship is by serving. We’re useful to the Lord! We’re supposed to be His hands and feet, His smile, His very presence to the people who need Him – which includes everyone! We serve Him wherever He calls us and places us. We serve Him in His family, the church, by using our spiritual gifts designated in such passages as Romans 12, 1 Corinthians 12, and Ephesians 4. When we servants of the Lord serve Him by serving others, we have a positive influence in this world and we delight Him! That sense of personal significance can’t be beaten! It costs something to serve people, because when we do that we’re putting the wants and needs of others before our own wants and needs. Serving is a personal sacrifice. Jesus’ role of servant was the ultimate example of this: He served us by dying on a cross for us! It cost Him everything. Serving is costly because we have to be willing to take risks. When you decide to serve others, you’re putting yourself out on a limb. In fact, Jesus often required His first followers – His disciples – to do that. Jesus sent out His twelve disciples, two by two, to the surrounding villages to preach His message. As if this wasn’t a scary enough challenge, He said to them, “Take nothing for the journey – no staff, no bag, no bread, no money, no extra tunic.” (Luke 9:3) They were to depend on the hospitality of the people they spoke to for their needs to be met. Jesus certainly wasn’t going to allow them to remain in their comfort zone! Of course they replied that there was no way that they could feed them. All they had was what they had observed one boy carrying: his own lunch, consisting of five small loaves of bread and two little dried fish. We’ll finish this story later; suffice it to say now that Jesus calls us to serve others, and doing that is rarely going to be easy! 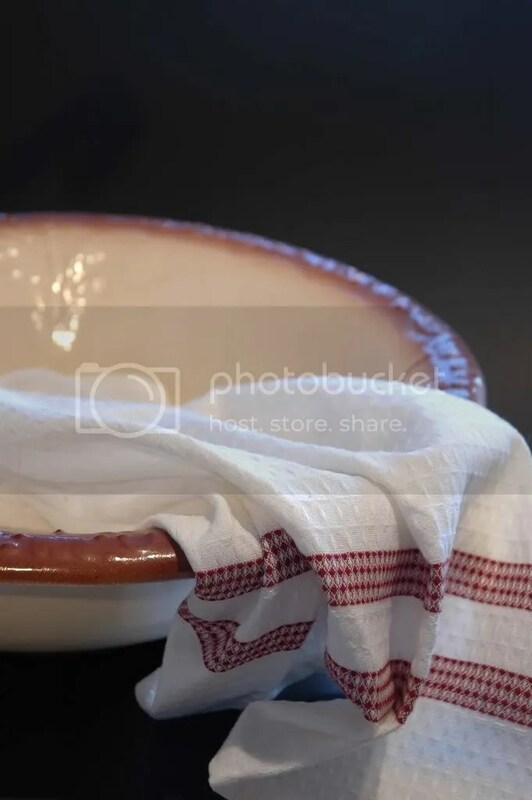 Probably the best image to use to show what it means to serve others is a bowl with a towel. Jesus used a bowl of water and a towel to remind His first followers how important it was for them to serve each other – and other people, too – just as He served them. Toward the end of Jesus’ ministry on earth He shared the Last Supper with His disciples in what we call the upper room. It was a rented room, so there was no host, who normally fulfilled – or whose servant fulfilled – the social custom of washing the guests’ feet. In those days people wore sandals, and with the dusty roads, dirty feet were a constant problem. We’re supposed to serve others as Christ has served us! Obviously Jesus wasn’t primarily referring to washing each other’s feet; He meant that we should look for all kinds of opportunities and ways to serve the needs of the people He’s placed around us. Joe did two things in that unique proposal. First, he put all the rest of us men to shame: how can the way we proposed ever measure up to that? Second, and more seriously, Joe’s washing of Katie’s feet reminds us that we’re supposed to serve each of the people God puts around us, whether it’s a mate, a friend, a co-worker, a neighbor, a relative, or whoever!